IDP offers Full Service web hosting. No control panels and complicated setup. Send us your website and forget it. Web hosting provider in Kansas City since 2003. IDP is a full service Web Design and Web Hosting company. What does that mean? It means we can build your web site, setup and manage your domain name, setup and manage your email accounts and host your web site in our redundant data center environment. Don’t have any idea what we are talking about? You don’t have to, that’s our job! No control panels to have to login to, no passwords to remember, no DNS settings to have to figure out, no backups to configure. We will do all of that for you. Most web design companies do not do web hosting anymore. 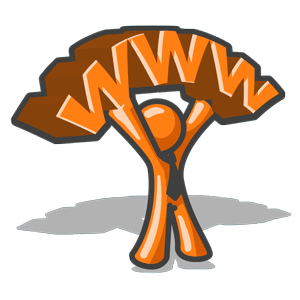 IDP has continued to stay in the web hosting market since we opened in 2003. We have invested significant resources in our web hosting environment. Web hosting expertise has made us better web developers. We understand all of the layers of the Internet and we can diagnose website issues faster than our competitors because we get the whole picture. We understand the website code, the web server software, the web server OS, the switch, the firewall, the spam firewall, the email server and the Internet. For example, a common problem with web sites is that sometimes web page submit form email is never received by the client. The developer will point at the web host and say the email is not delivered because of the web host. Contact your web host. The web host will point at the developer and say it is a programming issue contact your developer. You, the client are stuck in the middle and you will go round and round for days with no resolution and missing important leads coming from your website. At IDP we are both the web host and the developer so we fix the problem and diagnose the problem. We deal with email delivery issues with websites all of the time and can fix the issue. If you would like to join our team, please call 816-808-6846 or Contact Us for a Web Hosting Quote. If you are an IDP client in need of support please email support@goidp.com. What a great location for your website! Right in the middle of the United States of America! IDP is located in Lee’s Summit, Missouri. Our web servers are located near downtown Kansas City at NetStandard Data Center. Through our Server Co-Location agreement with NetStandard, we provide quality web and email hosting for our clents in a premier data center. We have our own private full rack space in the NSI datacenter. IDP owns, operates and manages all of our own server hardware and equipment. We continue to upgrade our hardware devices and network as our company grows. We provide quality, customer oriented hosting and email services. We are comitted to being the premier web design, web hosting, SEO company in Kansas City. Our web hosting environment is fully virtualized. The environment consists of a VMWare cluster, SAN storage array of drives, redundant physical firewalls, redundant physical switches and a physical backup server. We recommend adding the Sucuri website security service for maximum protection of your website. Outsource your website security monitoring and get help when you need it.